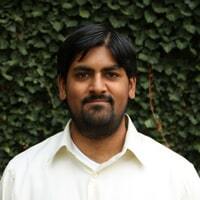 Shankar Nair, assistant professor in the University of Virginia’s Departments of Religious Studies and Middle Eastern and South Asian Languages and Cultures, will give a lecture at Washington and Lee University on March 14 at 5 p.m. in Northen Auditorium, Leyburn Library. Nair will be speaking on “An Iranian Philosopher Roams India: Making Sense of an Early Modern Muslim Interpretation of Hinduism.” His talk is free and open to the public. It is co-sponsored by W&L’s Religion Department and The Howerton Religion Fund. “During the height of the South Asian Mughal Empire (16th-17th century C.E. ), Muslim nobles facilitated the translation of numerous Hindu Sanskrit texts into the Persian language,” said Nair. “While this translation movement had long been attributed to the reputedly liberal, tolerant and enlightened personal inclinations of the Mughal emperors, scholars in recent decades have re-evaluated the phenomenon, arguing instead that practical socio-political considerations and quotidian cultural processes best explain the nature of the translation movement. What such analyses lack, however, is a sustained consideration of how the Islamic — and, in particular, Sufi — worldview(s) of the nobles in question shapes the inner workings of, and motivations behind, the movement. Nair’s general field of interest is the religious and intellectual history of the Indian subcontinent, particularly as it relates to broader traditions of Sufism and Islamic philosophy, Qur’anic exegesis, and Hindu philosophy and theology (especially Advaita Vedanta and other forms of Hindu non-dualism).